In a recent article, I discussed the possibility of having to perform a solo clearance of your home or other structure. One of the scenarios called for the ability to fight from close quarters. 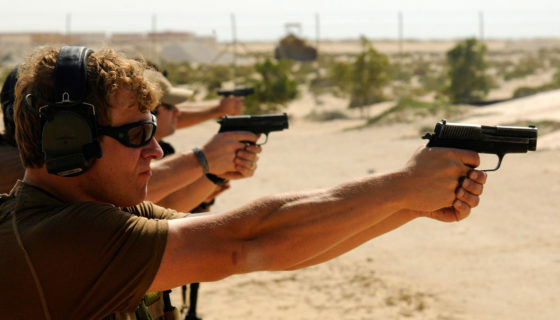 One of the best positions to fight with a firearm from in close quarters is the tuck position. Some folks might call it the retention position, but we choose to call it what it is and not what it does. This is simply because it does more than retain. 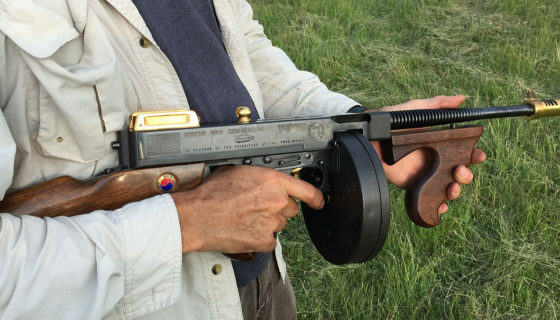 The tuck allows the individual to fire at the threat from close proximity. Presumably the reason you’re in the tuck to begin with, is because it’s tactically unsound to be fully extended in the mount. 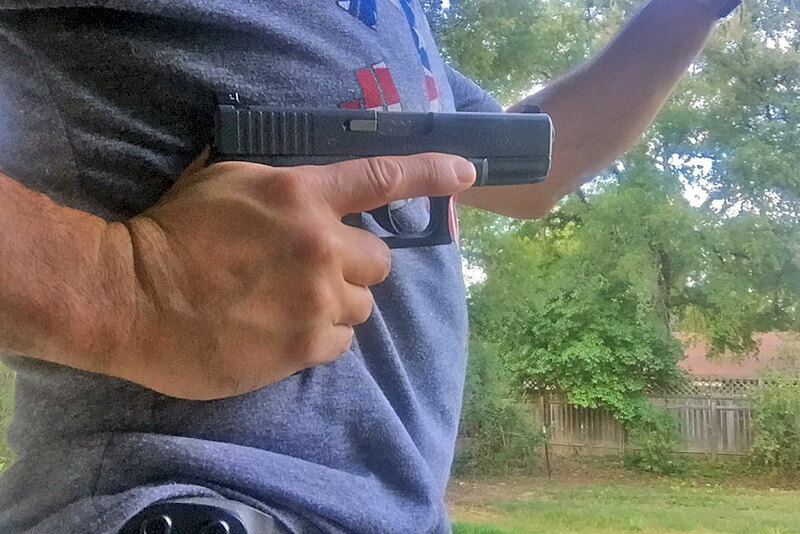 Most gun grabs begin with a deflection and grasp and it’s very hard to do either when the pistol is securely tucked against your side. It also provides you the ability to move from close contact to contact shots. These contact shots typically are what we call “off angle,” meaning they’re not lining up as you might imagine and more importantly the position continues to move as the threat might move and you adjust. When in the tuck position, it’s important not to impinge the slide as you discharge the weapon, all the while keeping the muzzle on target. You might think the latter is easy, but once you’re scuffling, your threat can move very dynamically. Add gunfire to the mix and movement happens very quickly. Keeping the firearm tucked deep along your rib cage will allow you to keep a kinetic body awareness. If you think about pointing your belly button at the threat while they are constantly moving, your hit ratio will remain high. The tendency to try and adjust the elevation is not necessary initially. You’ll want to get the first rounds on board, then if necessary, step back to gain distance. The decision to move from close contact to contact shots is difficult to describe. Contact shots can be very effective and devastating, but the key is not overdoing it; make contact with the torso/body and back off slightly. This will ensure you avoid a malfunction, but it won’t eliminate the chance. A big reason we see malfunctions is clothing getting caught in the slide, so be prepared for that and anticipate it with a contingency. Our contingency is to weapon strike 2-3 times and try to break contact. Step back, clear the malfunction and then act accordingly from there. One thing that’s often overlooked at close range is the use of an edged weapon. 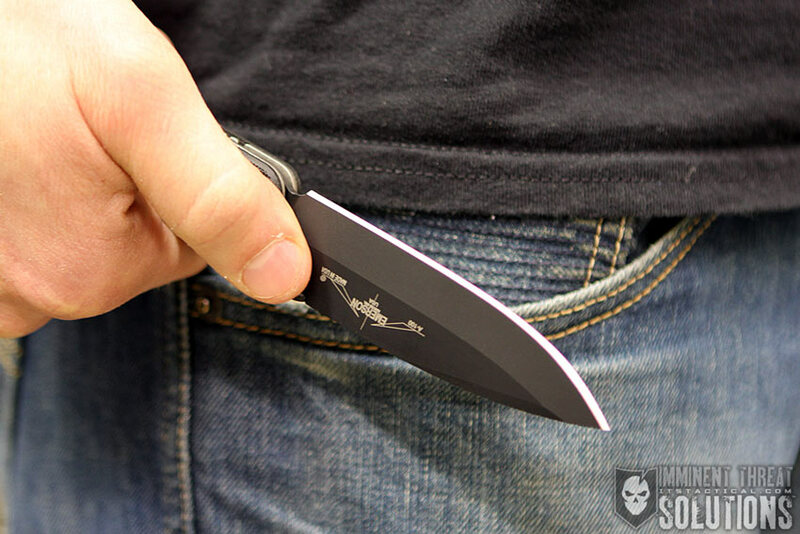 For some, the fixed blade can be brought into the fight with amazing speed, most of the time faster than a firearm. 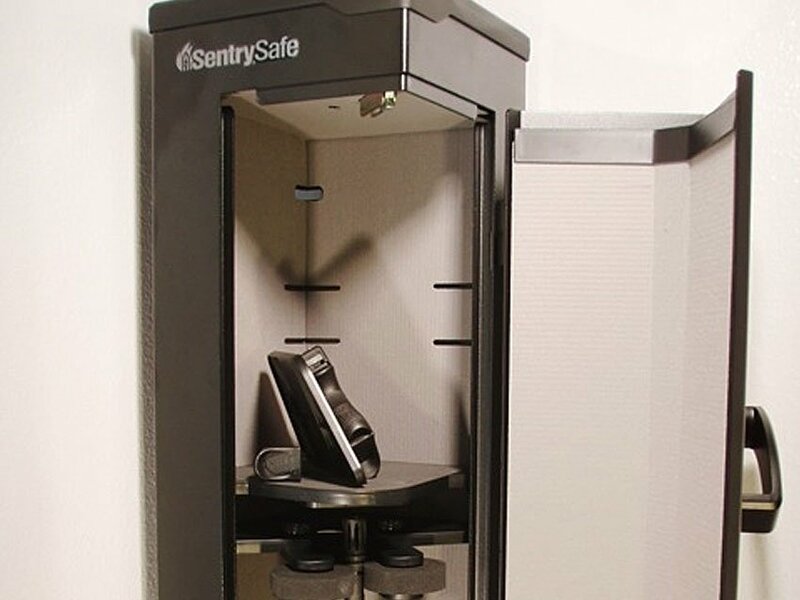 You don’t have to worry about it malfunctioning and the close proximity makes it’s use ideal. If you intend on employing an edged weapon, always remember it must make contact to be effective. If the situation deteriorates beyond a single adversary to multiple threats, you’ll want to consider how to negotiate the next threat. Obviously if they’re close enough to lay hands on you, you’re close enough to employ your edged weapon. If their distance is outside contact range, then deploying your pistol may be the best option. This will require great skill and control as you’ll have a fixed blade in one hand and a firearm in the other, but it’s an incredibly effective response to multiple threats at close range. The tuck should be part of every gunfighter’s repertoire, it’s capability at close range dramatically alters the outcome when employed effectively.